"Current estimates will put general shipments to start in end-August to mid-September." Jolla's Chief Engineer Marko Saukko has shared a great detailed insight into the reasons of this delay. In short, Jolla Tablets with the 1st display were introduced on Slush 2014 event. Those were found not good enough, and tablets with changed (2nd) display was introduced to the audience during Mobile World Congress 2015. USB port was changed to type B, which should still support also USB OTG data transfer, and hold on better in the device now. Display was changed to 3rd version, one having similar quality with the 2nd tested model, but the one Jolla found availalbe was using different interface and the Intel chip couldn't handle that out of the box. To get the full potential out of this 3rd display, changes on PCB were also needed, delaying the shipping plan. exceeding for example iPad 2 Display in quality, at least on the paper. Later laminating, however, will have an effect on these values in real use, but we're looking at an excellent display here. Tablet was introduced on the end of November, 2014 and the original plan was to start shipping the Indiegogo funded Jolla Tablet during May 2015. This has now been delayed, but why? Jolla Ltd. faces issues both regarding software (Sailfish OS 2.0 development) and hardware (Display), and now they mention the display as the main cause for the delay. According to them, display was later changed to a better one, but no specs has been shared on what's changed in the screen. Latest possible shipping date is yet unknown, as Jolla mentions 3-5 weeks after that program, and we have no idea how long this program is supposed to be. Expected shipping: If we give the developers a week or two, we could expect the first tablets to be shipped to crowfunders in the middle of September, 5 months after the original plan. 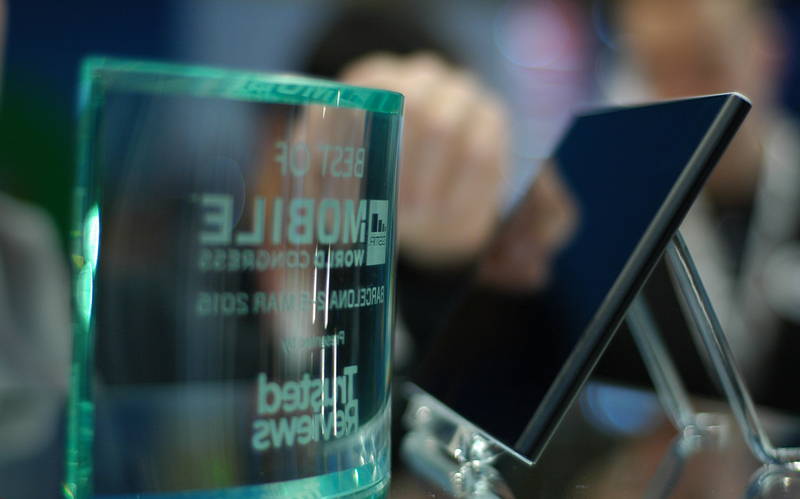 The tablet won "The Best of Mobile" prize during Mobile World Congress 2015 in Barcelona, awarded by Trusted Reviews. Crowdfunders have been patient, trusting their tablet will arrive when it's ready. In the end of the campaign some feedback was given for bad communications regarding the campaign, but lately Jolla has been sharing updates more recently, except for the new display specs still expected. Jolla wants to ensure that the testing is done first, not hurrying with the shipping, as they want to deliver their customers a high end product. However, the hardware might get outdated in the eyes of new customers if there will be any further delays. I am still confused why people are bantering about old hardware, when Sailfish OS can run in Dual core processor with just 1 GB of RAM. I'd say 2 GB of RAM and quad core processor is more than sufficient for Sailfish OS 2.0 to run smoothly. The processor might not be an issue, but as a multitasking OS and watching how all the content is growing in size, the RAM is an important matter. Dont worry, Intel HD gpu can cope with this resolution. the issue here is the shipping, i guess the shipping and logistics need to say their reason about this one. Delayed shipping is not for a business. Clients will get annoyed of it.